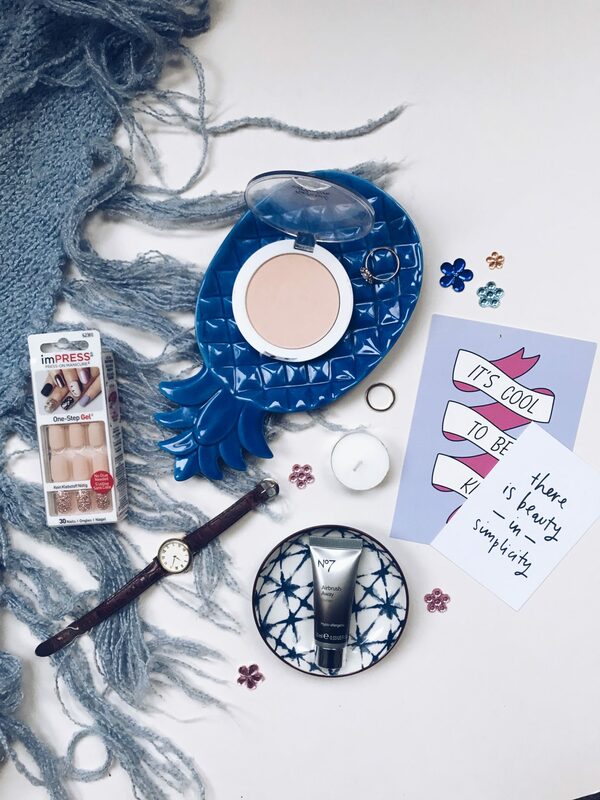 Wow, bit of a mouthful that title but I am having a bit of a whirlwind with beauty products at the moment. 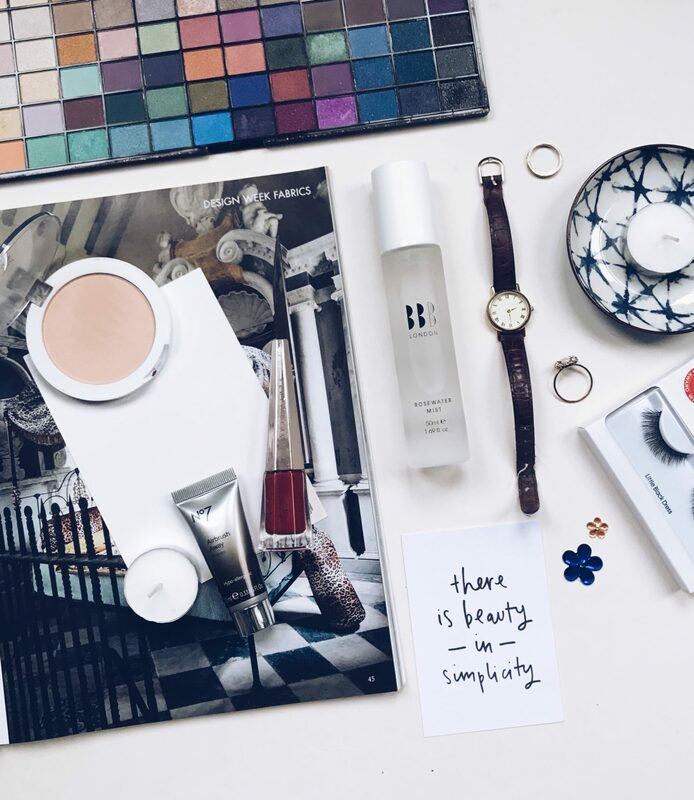 I have always been notoriously bad at applying make-up but that doesn’t stop me trying out new products and attempting new styles all the time. I have a feeling that this festive period is going to be busy, very busy. 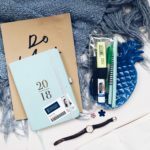 I’ve already been balancing university, an internship and my blog alongside actual life through November and things do not look like they are slowing down. I have a few fun things in diary for the next month and a lot of them require me looking like a functioning member of society and not a small ogre who has been dragged through ten bushes backwards. How shall this be achieved? 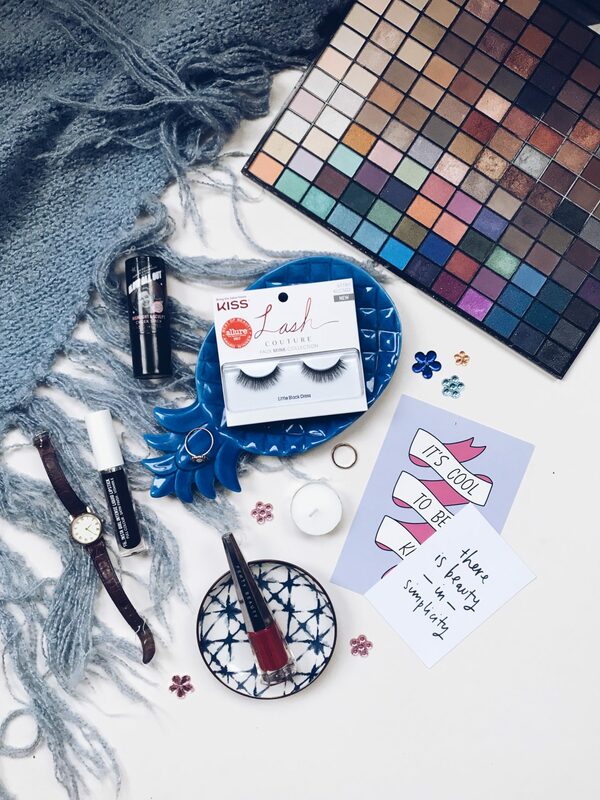 Through digging out old beauty favourites that don’t always see the light of day and adding a few new ones in to use throughout the festive period and into the new year. Small side note: how is it almost 2019 life is going so fast I can’t cope. 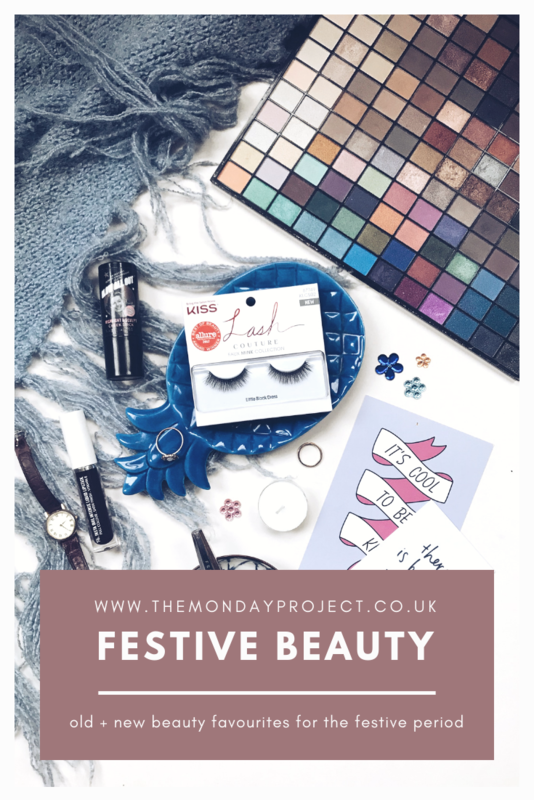 I thought I’d share my favourites in case anyone is looking for festive beauty product inspiration to either use or give as gifts. Revolution 144 Eyeshadow Palette 2016 Collection | As much as I would love a Naked palette or some equally wonderful (and expensive) eyeshadow, I just wouldn’t use it enough to justify the cost. On the odd occasion where I don’t rub a highlighter stick on my eyelids (a handy time-saving tip) I always whack out this old friend which was a Christmas gift from my sister a few years ago. It has such a mix of colours and they are really good quality with lots of pigmentation. 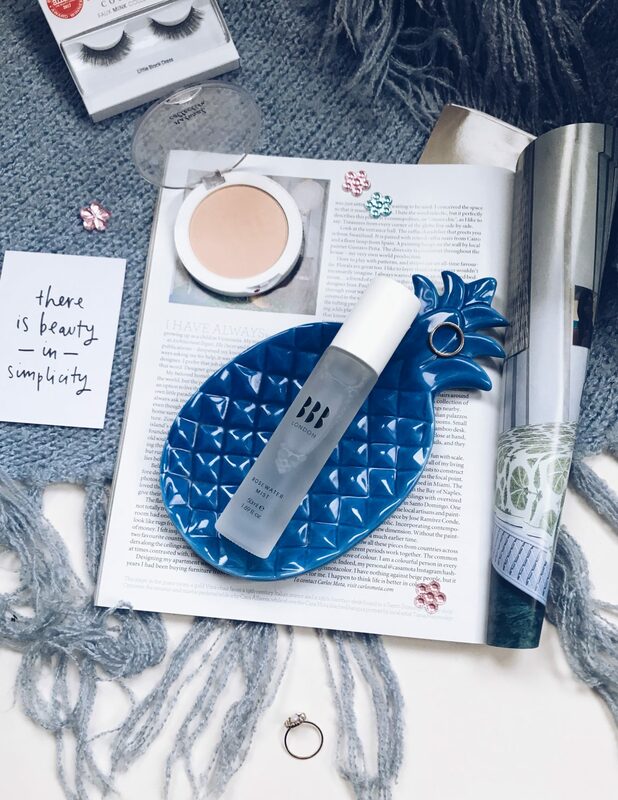 No7 Airbrush Away Primer* | I have been using this primer for No7 in the tiniest amounts since about September and I adore it. It is so creamy and feels really firming on my skin helping to create a base for applying foundation. I’ve been squeezing as much life as possible out of this tester but I’d definitely buy the full product. Soap & Glory Glow All Out Highlighter in Ice Shimmer | This product is from Christmas 2016 from a Soap & Glory gift set and it is still my favourite highlighter. I love the pink shimmery tone (great for also using as eyeshadow) and it is super easy to apply thanks to the stick design. 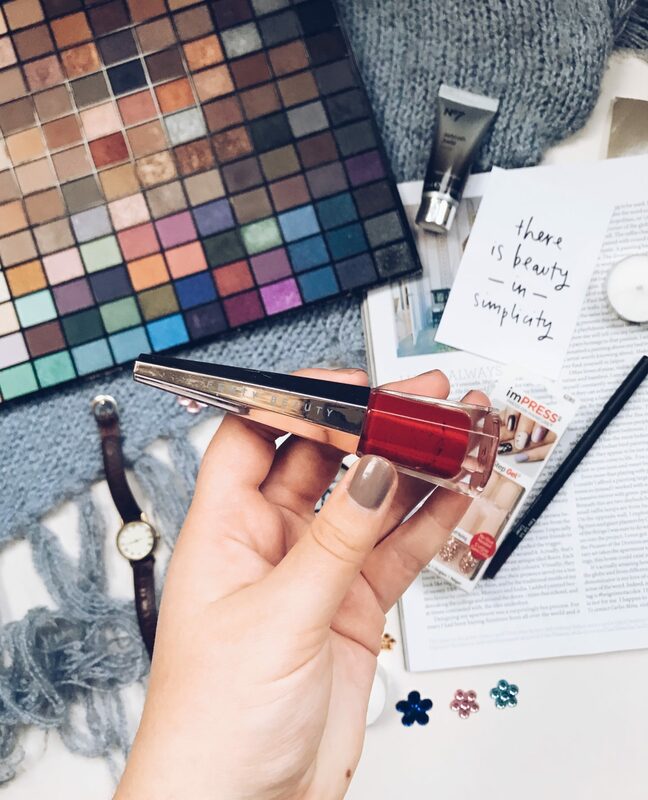 Fenty Beauty Stunna Lip Paint in Uncensored | My most favourite red lipstick is Fenty’s Uncensored and it is the most perfect formula. I love the soft brush for application, the juicy red colour, the packaging, its longetivty and I am just obsessed with it. I love wearing red lipstick all year round but there is something special about wearing it in the festive period. PS Insta Girl Intense Liquid Lipstick | I don’t know the shade of this nor do I love the brand but I do love a berry lipstick. This one from Primark is good enough for the price tag and considering I wear berry lipstick about once a year, it does the job perfectly. I’ve been wearing it with Sleek Eua La La Liner in Raisin just to help define it as it does bleed off my lips pretty easily. Natural Collection Matte Pressed Powder in Cool | A matte pressed powder is something I always fun on me and the festive period is no different. This one is affordable, works well with a lot of brushes and fits easily into every bag – it can do no wrong. 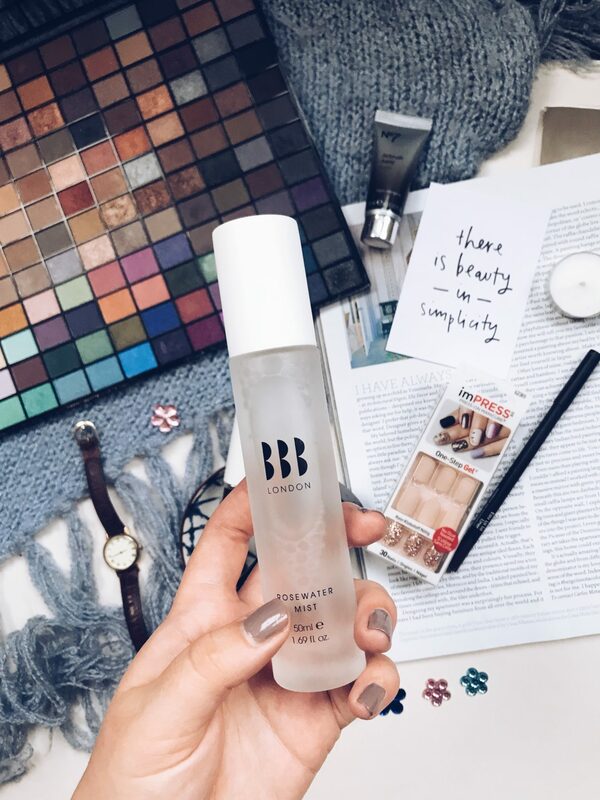 BBB London Rosewater Mist* | This gorgeous setting spray from BBB London is everything I’ve ever wanted in a setting spray. I’m just doing a scoosh on my finished face and it is helping hold my make-up in place all day. I also sometimes use it before instead of a primer if I’m saving space in my bag. The thing I love most is the smell: gorgeous rosewater is so refreshing. KISS Lash Couture Collection in Little Black Dress* | Admittedly I have only gotten into fake eyelashes since I went to the KISS party in Edinburgh in September. There are so many gorgeous designs from their collections and I can’t wait to wear these Little Black Dress ones to Daft Friday instead of mascara. Expect to see one crumbling down my face as I knock about the dance floor in Hive at about 3am. imPRESS One-Step Gel Manicure* | I love these gorgeous nails from imPRESS and they are perfect for the festive period. A mix of sparkle and muted nudes instead of painting my nails. 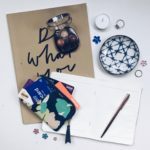 This post contains an item gifted by BBB London, marked by an asterisk and c/o in ‘shop the post’. This post also contains items gifted in goodie bags, marked by an asterisk and c/o in ‘shop the post’.